Who or What is MG Mangaweka? MG Mangaweka exists to promote unlimited enjoyment of MG cars, sharing fun, goodwill and camaraderie with MG owners from anywhere in the world. MG Mangaweka is 'minimalist'. It is not limited by stuff such as meetings, subscriptions, AGM's or even members. However, it relates to MG worldwide by affiliation with the MG Car Club Wellington Centre Inc.
MG Mangaweka does not knowingly schedule events on dates conflicting with the planned activities of the established MG clubs that we actively support. MG Mangaweka does impose one limit - to participate in its events you must drive an MG.
MG Mangaweka is also associated with the Mangaweka Adventure Company - check out their website to see the range of activities on offer along with Awastone Riverside Haven. If you are interested in holding an event in Mangaweka, please use the contact form to get in touch. 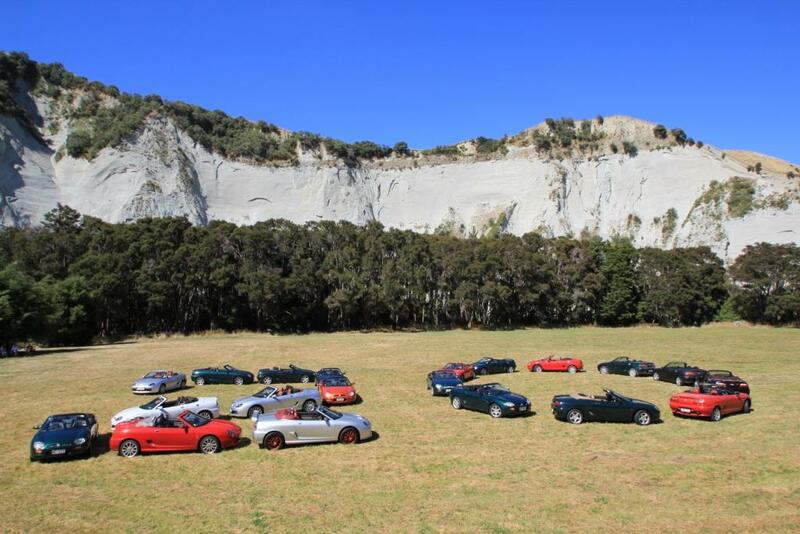 Do come and try one of our events - we can offer a unique experience in a beautiful and unique part of New Zealand. We are also open to hosting events for other clubs and marques outside of MG. The date for this very popular event run in conjunction with the MGCC Wellington Centre has now been set for next year - if you have an MGF/TF now is the time to take note of this and mark your diary for next year so as not to miss out on this excellent annual event.